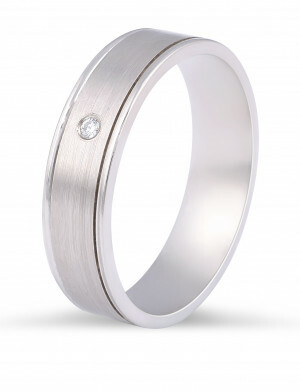 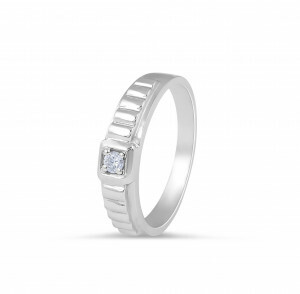 Modern and unique wedding band featuring a round brilliant diamond in a square bezel set and stylish inlay feature. 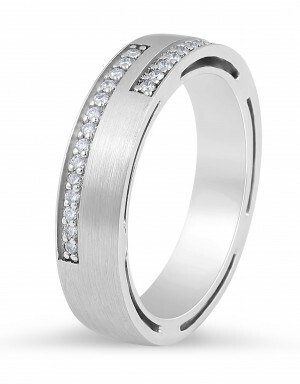 Modern wedding Ring with round brilliant cut bezel set diamond and double inlay along the edges. 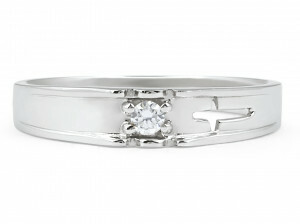 Brushed middle and polished edges contrast. 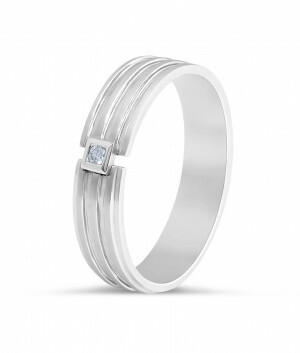 This sleek gent's diamond wedding ring features a tension set Princess cut diamond in 18k white gold and two line edges to accentuate the ring gloss appear.